So you’ve recently started your UK tour, how does it feel to be back on the road? Not much sleep lately, but the adrenaline and excitement is propelling us forward… I have genuinely loved all the shows so far, there has been some powerful, transcendent moments and proper connection going on in the room… that’s the aim! Are you excited about any of the upcoming shows in particular? Happy to be back in Scotland for the Glasgow & Edinburgh shows, and to play the legendary Whelan’s in Dublin. Always love playing Bristol & Manchester because the vibe is always reliably high. People that come to our shows seem be such good folks – we tend to have great chats and meetings of minds. It makes it all worth it. Do you have a favourite venue you’ve returned to over the years? I love Union Chapel in London… It’s so beautiful in there. We’ve been lucky enough to play The Sage, Gateshead a couple of times and that room is very well designed, acoustically. It sounds great. It will be our second time in Band on The Wall, and I do love that venue. What’s it like touring your latest material from ‘Preternatural’? It’s like a kaleidoscope of noise, and it’s growing all the time. It’s evolving! It’s mutating! Where did the fascination for strange creatures and the natural world come from in relation to your latest album? The curiosity has always been there for me, and I think that is something that people have in common, across the board. Millions of people watch David Attenborough programmes – I like that something so mainstream is still so beautiful. The idea to base the album around a concept of the natural world came after seeing an article in the New Scientist about the Halicephalobus Mephisto Nematode worm. It’s a recently discovered ‘Extremophile’ that doesn’t need oxygen or sunlight to live, in its deep underground high pressure lair… The article opened a window in my brain. Do you find that performing live gives you different opportunities, or do you prefer the developing time in the studio? I really love writing and the studio, and I love playing live. In the studio, you are at the point of creation, and that is so exciting, it’s life-giving! I could stay in that cave for a long time. But the people! It is the people that make the touring so rewarding, spending time with crew, meeting new friends along the way, catching up with old ones… It’s a crazy way to live – unpredictable, unstable, exhausting, ridiculous – but I love it. Did you use any specific tips or tricks to attain some for the unique sound effects on the album? Lots of blending, tinkering, meddling… we also had Mike Dennis, our Sound Engineer, make a sample library of sounds from all over Bristol, and then built them into little short motif sounds for each creature. 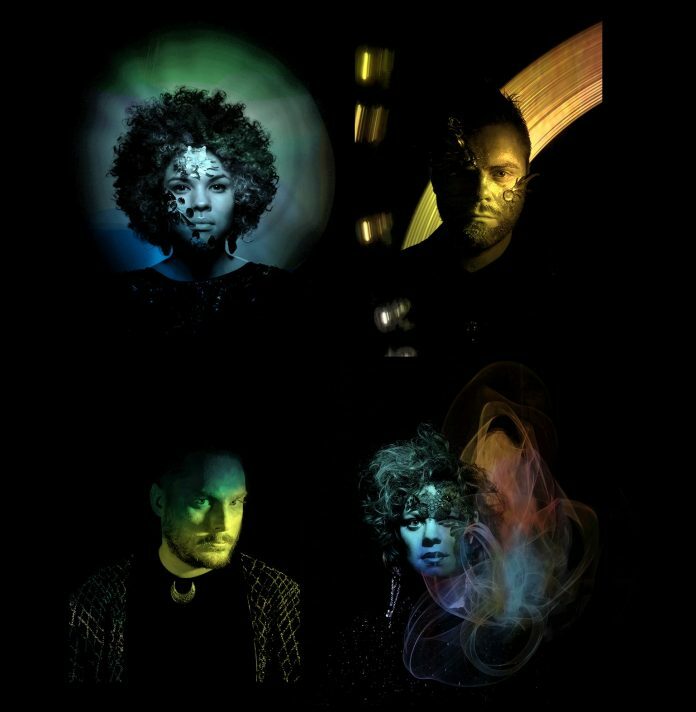 The Moulettes have come a long way since you started out. Where do you see the band going next? Onwards and ever onwards to an unknown destination. Have you got a favourite track out of all of your releases so far? I like all the imagery in ‘Between 2 Mirrors’, it feels very visual to me, and I love the epic arrangement we made with some of our favourite musicians in Brighton. From ‘Preternatural’, I really like ‘Pufferfish Love’. That song came together very naturally, it had a good feeling from the very start and I wrote all the lyrics very fast, in about half an hour. I love Raevennan’s vocal performance, it’s perfectly beautiful. Given the experimental nature of your style, do you go about songwriting in any particular way? The songs always start with me in a solitary cave and then I bring them to the group to develop them. It’s always good to find new angles in writing though – tinkering with a range of instruments, using drum samples, apps – anything that makes noise can suggest a whole new idea. Your style is also an amalgamation of lots of different things (pop, rock, folk, prog). Are there any particular bands or people who influenced this unique style? You’ve done a lot of collaborations over the years. Do you have any favourites, or people you’d like to work with again? It was so good to work with such legends such as Herbie Flowers & Arthur Brown, and there’s always a chance of future collaborations happening there…. but everyone was equally fantastic, so no favourites. Are you working on any new projects coming up? Yes, but it’s highly classified! Last spring, we arranged the strings and percussion for the new Levellers album, recorded in Abbey Road with the extended Moul Family String section, so we’ll be touring that with them next year.